Listen, applying sunscreen is just something you have to do. Sorry! No one is super excited about it, but daily application (and reapplication) of at least SPF 30 is what dermatologists recommend to avoid sun damage, which can range from mildly annoying redness and dark spots to skin cancer. 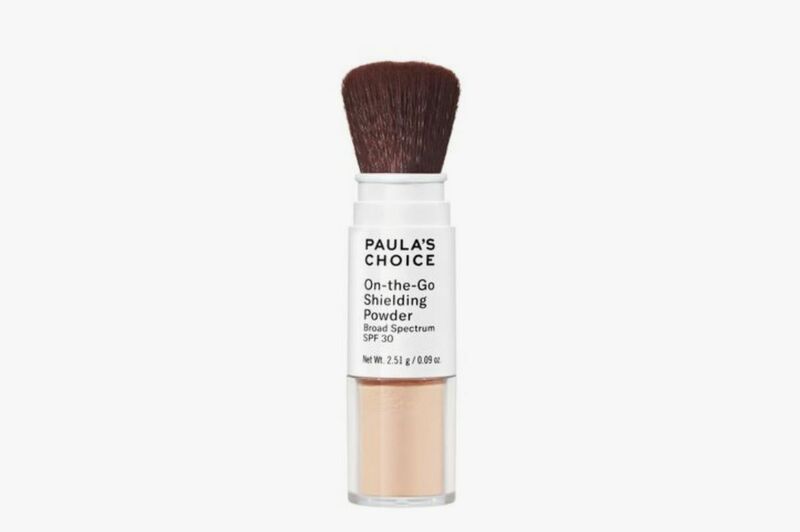 “Cosmetics Cop” (and sheet mask denier) Paula Begoun has risen to the almost impossible task of making sun protection fun with her new Paula’s Choice On-the-Go Shielding Powder SPF 30. Even if you’re a devout sunscreen-applier (keep up the good work! ), it can be hard to reapply a traditional gel or cream sunscreen later in the day once you’ve already done your makeup. Thus the appeal of a dust-on powder. Besides protecting you from the sun, it’s also a great way to reduce shine throughout the day. So instead of reaching for a blotting paper at lunchtime, you can swipe this across your face for a mattifying effect that should minimize the appearance of pores as well as help protect your skin from the sun. We’ve already seen an influx of beauty products in stick form this year, and this is the newest version of that trend. This easy-to-use, on-the-go packaging makes a good additions to your gym bag or purse to help you maintain healthy skin even during the absolute busiest of days.